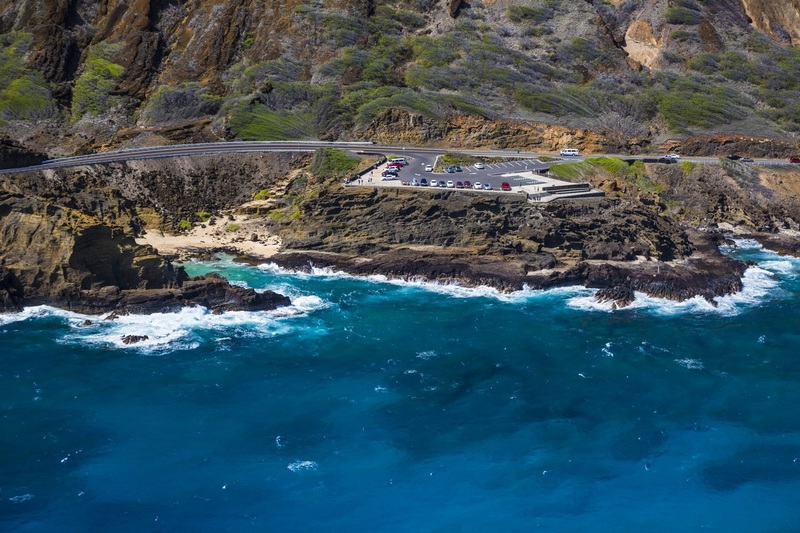 When you visit Oahu, you won’t want to miss stopping at one of the most spectacular lookouts in Hawaii, the Halona Blowhole. Located in East Oahu along Kalanianaole Highway, the site is only about 15-20 minutes from Waikiki. The site gives visitors the chance to witness nature at its most powerful, as the mighty blowhole can shoot sea spray up to thirty feet high in the air. A little background: Thousands of years ago when volcanoes were still active on Oahu, Koko Crater’s lava flowed into the ocean at Halona Point (Halona means “lookout). The molten lava tubes from volcanic eruptions that occurred there formed the natural occurrence known as the Halona Blowhole.The lava tubes extend into the ocean which are very narrow at the top, and when the surf is just right, you can watch the water shoot-up into the sky. The waters surrounding the Halona Blowhole can be treacherous, and the waves can break on the rocks. Aside from this lava rock formation, you can also enjoy a breathtaking view of the ocean, islands of Molokai and Lanai. During the winter months, some humpback whales are being spotted off the shore. There are also green sea turtles diving and swimming around. With all this beauty to absorb, you may think it’s a good idea to climb over the safety fence and get a close-up look at the sea spray. DON’T. In the past three months, three people have been killed at the Halona Blowhole. Just this week, a 19 year-old man was swept out to sea and died there. 1. The Sea-Spray Is More Powerful (And Unpredictable) Than You Think: When ocean water moves into the lava tube at the Halona Blowhole, all its energy is compressed into a small space, which allows for an exponential increase in power. So, when the sea spray “shoots-out” into the air, you’re witnessing an enormous amount of energy released into the space above the blowhole. Anyone who is in its path has little chance of surviving such a powerful force. In addition to its power, the Halona Blowhole can be unpredictable. The sea spray “shoots out” about every ten minutes, but the timing may not be perfect, and you could be caught off-guard. 2. The Ka Iwi Channel: Underneath the Halona Blowhole are some of the most powerful currents in Hawaii. 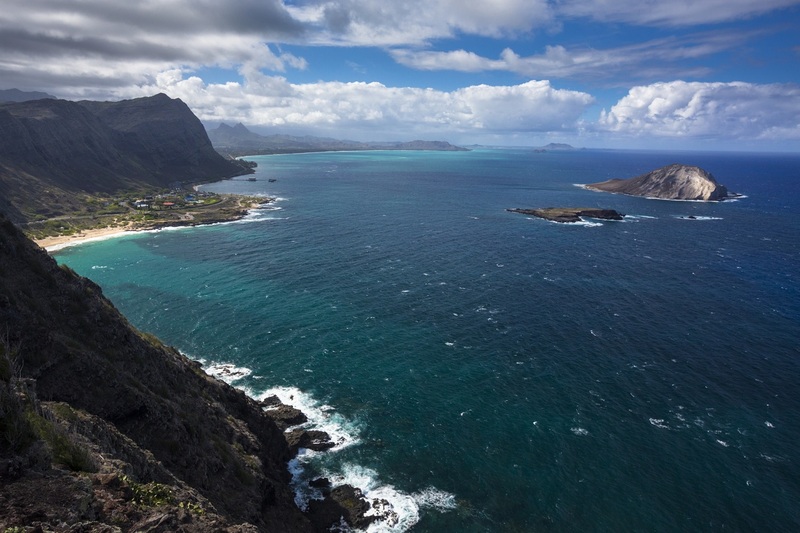 It’s part of the Ka Iwi Channel, which is nicknamed “The Molokai Express” for its ability to carry the unwary all the way to Molokai. The waters around the Halona Blowhole is very unpredictable, and you should NEVER swim there when the ocean current is rough, as the waves crash against the rocks. The Ka Iwi coast is mostly untouched by development, but the waters off the coast can be dangerous. 3. Internet Postings Can Be Misleading: Internet videos of visitors climbing over the safety fence and walking down to the Halona Blowhole are everywhere. But, keep in mind, the subjects in the video are putting their lives at risk. No matter how “fun” or “exciting” it might look to follow suit, DON’T. Many times, those thrill-seekers in the videos just got lucky. Or, maybe the video is edited to look a certain way. No matter how legitimate an Internet video might look, don’t climb down to the blowhole because you watched someone do it online. The Halona Blowhole is an amazing site to visit, and you can request to stop there when you book your tour through Hawaii Jeep Tours. Just remember to stay safe by following the rules!